Hot Toys has unveiled a couple awesome collectibles for Marvel's Avengers: Infinity War and collectors are going to want to get their hands on these! Hot Toys has always done great work with their Marvel line and these things are badass! A new threat has emerged from the cosmos and it became too heavy for any hero to handle! The Avengers must join forces to protect the world and to stop the ruthless warlord and his formidable allies from destroying the universe! Together with other significant superheroes, the latest Iron Man with advance technology that Tony Stark has created will fight against their ultimate villain Thanos! Prior to the release of the highly anticipated Avengers: Infinity War, Hot Toys is ecstatic to officially introduce the first collectible - the 1/6th scale Iron Man collective figure, among the first wave of Avengers: Infinity War collectible’s line-up. 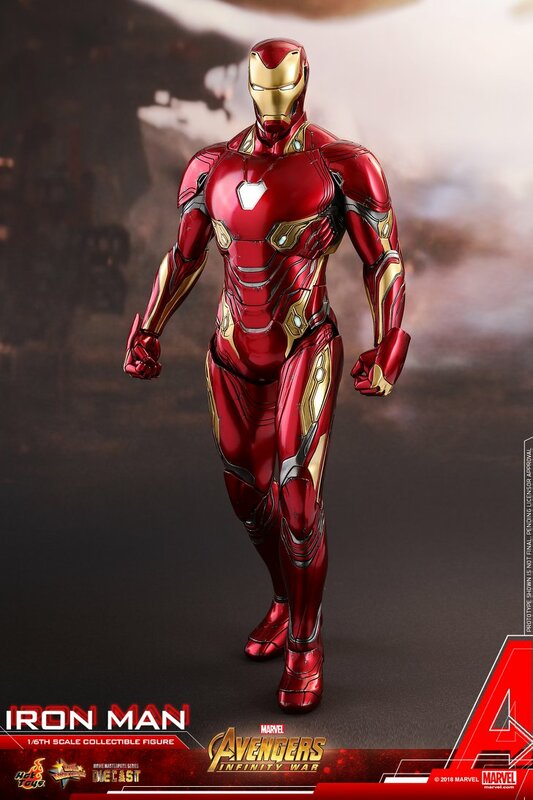 With remarkable movie-accuracy, the 1/6th scale figure is expertly crafted based on Robert Downey Jr. as Tony Stark/Iron Man in Avengers: Infinity War, featuring an interchangeable helmeted head with metallic red, gold and silver colored armor painting and a newly painted head sculpt with striking likeness, LED light-up functions scattered throughout the armor, a variety of Iron Man’s latest weapons including interchangeable LED light-up Nano Repulsor Cannon, Hand Cannon on left arm, a pair of attachable Nano Boosters on the back, and specially designed figure stand with movie logo. 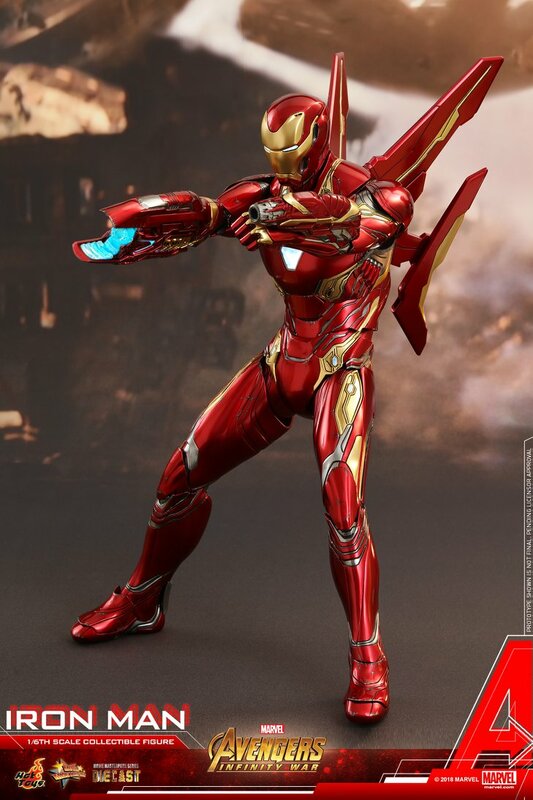 Start your Avengers: Infinity War collection with this all-new and magnificent 1/6th scale Iron Man collectible figure today!